If you plan to advertise on our site, please note that our only advertising option is flat-rate monthly advertising. We do not do CPC, CPM or cost-per-sale type of advertising. 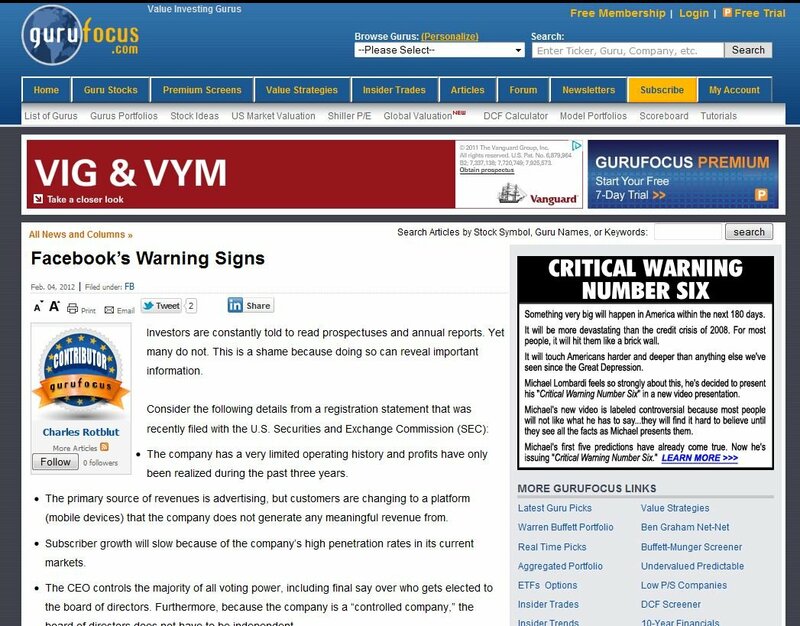 Most GuruFocus visitors are value investors looking for investment ideas and tools. They subscribe to a variety of investment newsletters and research reports. We have more than 275,000 registered users and thousands of paid subscribers. If you have products and services you would like to promote, please consider our advertisement program. As of January 2015 we have about 50,000 unique visitors per day. The page impressions are about 3,000,000 per month. If you are interested in these services, please make the appropriate payment at http://www.gurufocus.com/donate.php, and send us the html tag with the table below. If you have images, please email them to gurufocus[at]gurufocus.com.